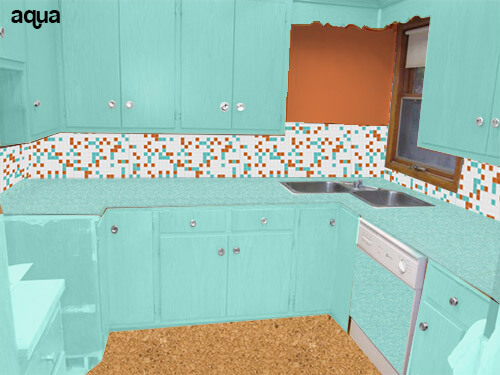 Midcentury kitchens started out “any color you want as long as it’s white” in the immediate postwar period, until about 1953. Why? Materials were still tight after the war – and the war in Korea stretched capacities, as well. In fact, did you know that there were actually rules that made it difficult to add a second bathroom? Something called Regulation X. I keep seeing reference to it — must do more research. Seen “Pleasantville?” Social repression aside, the limits…the material scarcity… that people had been living through for 20 years makes it understandable why the demand for color exploded in the 50s. 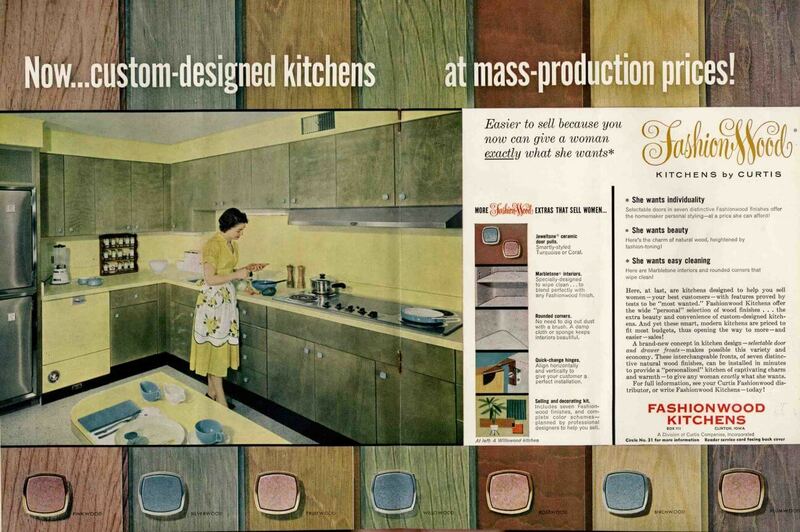 This 1959 advertisement for Fashionwood Kitchens by Curtis – a big national retailer of wood kitchen cabinets – shows a delightful variety of colors available, on a number of wood doors. 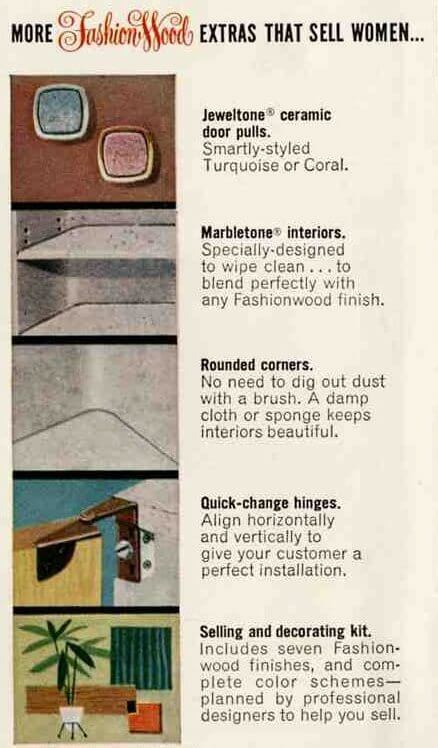 Readers have asked before whether there is precedent for staining their 50s or 60s birch doors. The answer presents itself here again: Yup. Wow! Really interesting! I love the “pinkwood”. Now that would be a truly unique 50’s kitchen… hmmmm… The counters remind me of the ones in our 1959 split-level – no metal banding.